While hummingbirds may appear delicate and fragile, they are one of the more violent birds I've seen. 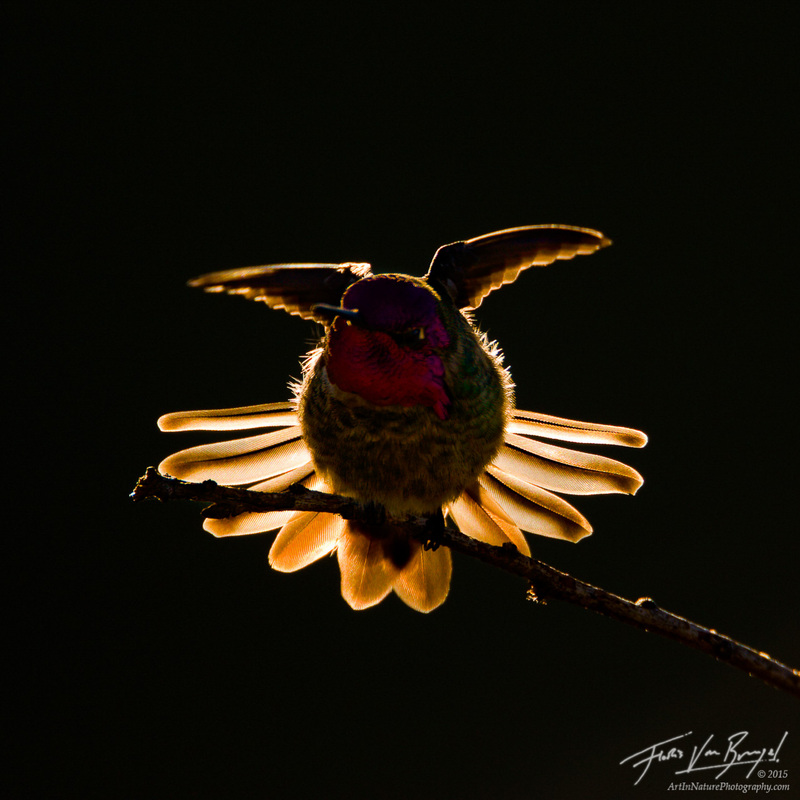 I took this photo of an Anna's Hummingbird (Calypte anna) just as the sun was rising over the hills behind the bird. After a quick stretch he was off to battle one of the many intruders on his territory in California's Mt. Diablo State Park.